The Resolution Trust acts as catalyst, convenor and sponsor of work with a range of partners to promote shared growth and reforms that distribute power more widely across society. It oversees the not-for-profit work of the Resolution Group. The Resolution Trust takes a specific interest in long-term problems that are often viewed as intractable due to the short-term nature of the political cycle. The approach taken is non-partisan, evidence-based and draws on international experience. Resolution Foundation – the leading UK economic and social policy think-tank that seeks to improve the living standards of those on low to middle incomes. Prospect Magazine – the UK’s leading independent magazine of ideas. WorkerTech – a partnership established with Bethnal Green Ventures that develops innovative ideas using tech to support the low-wage workforce. Employment, Equity and Growth programme at the Institute for New Economic Thinking, Oxford University – this undertakes research into the economic theory, policies and institutional changes required for more inclusive growth. Gavin is a leading media commentator on economics and public policy – writing for the Guardian, FT and other outlets as well as being a regular blogger for the New Statesman. He covers a wide range of issues spanning economic policy, low pay, welfare reform, public services and social mobility. Before becoming Chief Executive of Resolution Trust Gavin ran the Resolution Foundation, an independent think tank funded by the Trust which focuses on improving the living standards of low to middle income families in the UK. He joined the Foundation from No 10 Downing Street where he worked as Deputy Chief of Staff. He spent over a decade in Whitehall and was a member of the Council of Economic Advisors at HMT, the Senior Advisor to the Secretary of State at the Department for Education and the Department for Communities and Local Government, Deputy Head of the Prime Minister’s Strategy Unit and a member of the No 10 Policy Unit. Before working in government he taught economics and politics at the University of Sheffield where he received his doctorate. 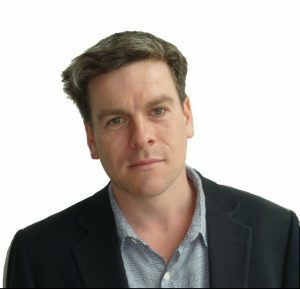 Gavin sits on the advisory board of a number of organisations including The Washington Centre for Equitable Growth, Policy Bristol, and SPERI at the University of Sheffield. Gavin blogs about politics and economics at gavinkellyblog.com, you can read a selection in the blogs section of this website. He tweets as @GavinJKelly1.